Have you ever noticed all of the “one another” passages, especially throughout the New Testament? We are called to “love one another” (Jn 13:34), bear with one another and forgive one another (Col 3:13), “instruct one another” (Rm 15:14), and so on. While Christianity is certainly personal, it’s not private. The faith wrought in you by the Holy Spirit is meant to be a faith expressed within the living and active community of faith—the local church. In this grace-filled community, believers are transformed through the faithful preaching the Word, Bible study, small groups, counseling, and the many other contexts of Scripture-saturated edification. As we shouldn’t neglect meeting together in worship (Heb 10:25), so also we shouldn’t isolate ourselves from the communion of saints. You need your brothers and sisters and their gifts, which God gives for the building up of the body of Christ (Eph 4:12). “Iron sharpens iron, and one person sharpens another” (Pr 27:12). 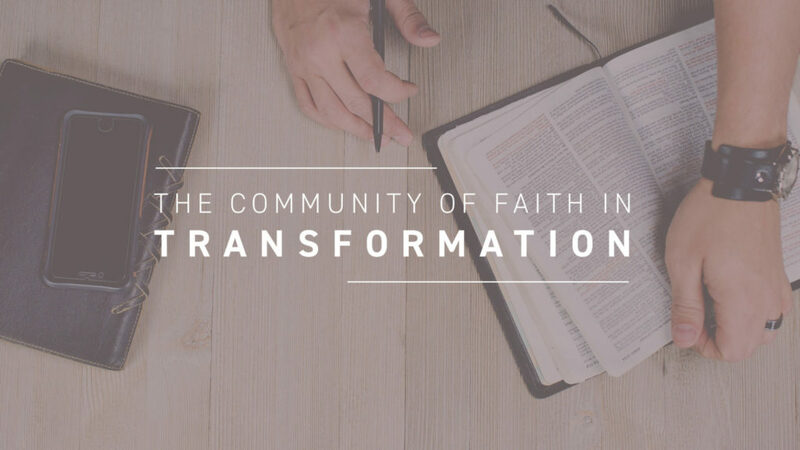 From accountability to encouragement, God has seen fit to equip you with the tools for gospel transformation within the community of faith. Whether you are a new believer or a seasoned saint, the Scriptures provide deep wells of transformative truth. Jesus prayed for his disciples, “Sanctify them by the truth; your word is truth” (Jn 17:17). As you read, memorize, meditate, and pray the Scriptures within the community of faith, may God plant you by streams of grace so that you may bear fruit in season, his glory and your joy.